The most common ant found either in or around the house and garden. They live in the ground, under rocks, paved areas like patios etc. They will invade buildings in their search for sweet and sticky scraps of food if their natural food of flower nectar can not be found in sufficient quantities. 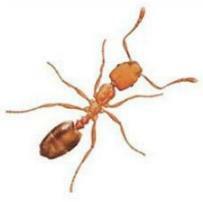 Ant Pest Control Measure: A residual surface spray to all affected areas. 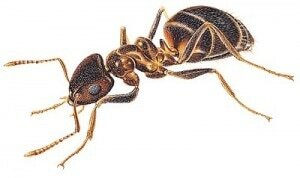 We can also deal with Pharaoh Ants (see below).